How’s the afterlife? Are you around seeing this? The Mets are about to clinch the NL East for the first time in nine years. We’re not sure exactly when, but their magic number is one. You heard me. It’s not a tragic number this year. It’s magic. Just wanted know if you’re watching. Yes, they still make some bone headed moves, and sometimes their bats stall like an old van on the parkway – but their pitching is phenomenal. This kid, Noah Syndergaard just pitched a gem into the 8th inning. 100 pitches. He struck out 14 guys and pitched a shut out until he gave up a homerun. And…you guessed it. The bullpen came in and started giving away hits to Cincinnati like it was Christmas. Up until then, the Reds were losing 0-12 against our guys. But bring in the relievers and it was like seeing Santa and his reindeer in the sky. Well, I’m not doing that anymore. This team still makes me wobbly, but they give me reason to stick around. There’s the offense: There’s a healthy David Wright coming in clutch. 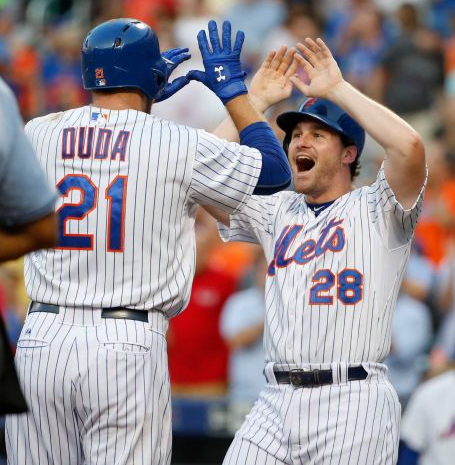 Daniel Murphy is hitting doubles, Curtis Granderson, Lucas Duda and Yoenis Cespedes coming through again and again. We have aces like Noah (aka Thor), DeGrom, and Harvey (who has pissed us off lately due to his diva ways.) Despite the bullpen weakness the Mets still won – 12 to 5. 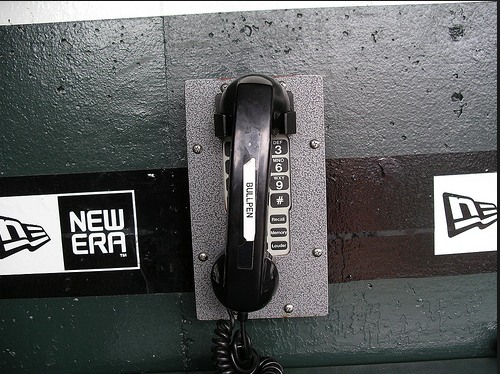 If there could only be a bullpen phone line to you to talk about how this all happened – how at this time of the year we’re talking about next year as the Mets pack it in for the winter. Can you believe it Dad? They may not make it all the way, but they actually have a shot. They could reach the World Series. I won’t hold my breath, but ain’t it amazin’? I wish I was home in NY with you in the living room watching it all. So, wherever you are, I hope you’re seeing this. Categories: Uncategorized | Tags: New York Mets, NL East, NY Mets | Permalink. There is a strange psychological phenomenon that takes place when the subconscious is in sync with one’s personal conscious beliefs. We attract positive outcomes. 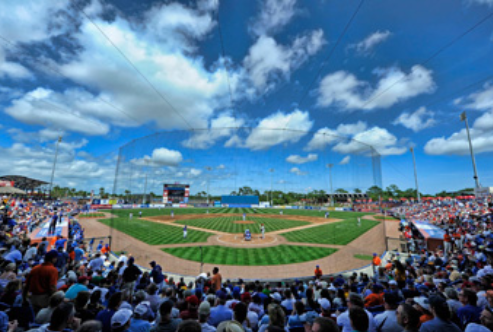 As mentioned in yesterday’s blog about the Mets, Baseball is rife with life metaphors we can apply to our own aspirations. 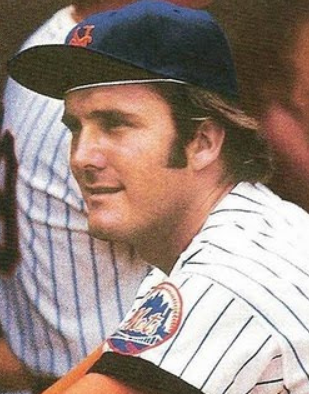 Tug McGraw was the guru of belief. His mantra, “Ya Gotta Believe” was more than just a call to action – it was a chant to the inner most crevices of our minds. You can’t just think it – you’ve gotta believe it. It helped the lowly 1973 Mets come from last place in August straight through to the playoffs and world series. Although they didn’t win the big show, they found themselves where they knew they should be – despite the incredible odds. We can say we believe in something, but if there are traces of doubt on a subconscious level, it may bring forth a vague outcome. That’s why in baseball, you’ll see inexplicable outcomes for teams you never expect to become winners. When players truly know they can do the job, they come to the ballpark with confidence and an air that manifests good things. Even in loss, they are resilient enough to come back again with the knowledge that they are unbeatable. If you believe in your success with ever fiber of your being and in every corner of your mind – you can turn out wins. This applies to writers and people of all walks of life. If your conscious and sub-conscious minds agree with your desire in life, then it’s likely you will attract things in your world to make it happen. If your two minds are not on the same page, you’ll find yourself attracting vague signs and people who are just as vague as you are. So, as the Mets embark on a subway series with the Yankees, I say in the name of Tug… “BELIEVE”. Believe in yourself the way these young Mets do. Even if your winning streak ends. You’ll keep going until the big picture is revealed. Categories: Inspiration | Tags: Baseball, New York Mets, NY Mets, Tug McGraw | Permalink.